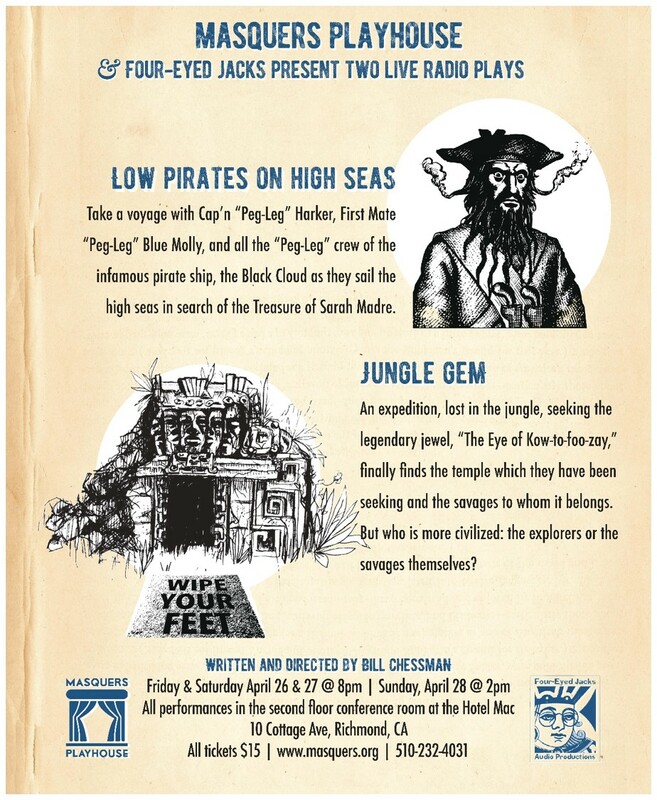 Take a voyage with Cap'n Harker, First Mate Blue Molly, and all the "Peg-Leg" crew of the Black Cloud as they sail the high seas in search of the fabled Treasure of Sarah Madre. An expedition, lost in the jungle, seeking the legendary jewel, “The Eye of Kow-to-foo-zay,” finally finds the temple and the savages to whom it belongs. But who is the more civilized? The explorers or the savages themselves?